After being gently cleansed and toned with a sea water-based toner, the face is softy stroked with a mixture of lime and honey, with softening and whitening effects. 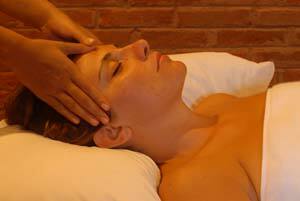 The Natural Facial is finished with a cucumber mask to help tighten pores and cause skin to be more supple. After the Basic Facial which consists of gentle cleansing and toning with a seawater-based toner followed by a light soothing facial massagewhich hydrates and nourishes the delicate skin of the face, a treatment mask is applied. Depending on skin type, a purifying mask for oily skin or an anti-ageing cream mask for more mature skin is used. The delicate eye zone is also given special attention, with the application of a non-greasy serum which repairs, revitalizes and protects the sensitive epidermis around the eyes.